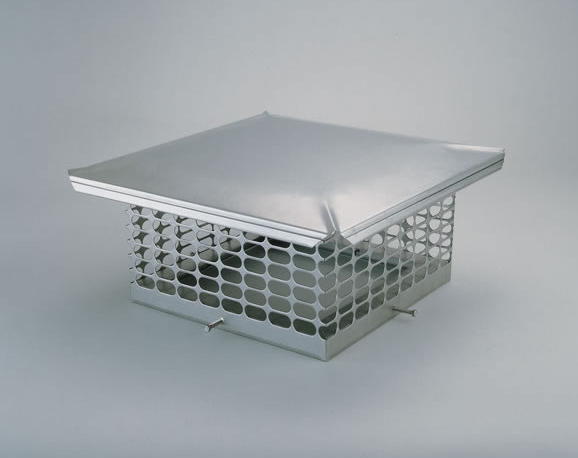 Fits Outside Tile Dimensions: 6-1/2" x 16" to 8-3/4" x 18-3/4"
Protect your fireplace and keep your chimney free from heavy debris and the invasion of curious critters with this durable Chim Cap Stainless Steel Forever chimney cap. This Chip Cap cover features a 100% 304-stainless steel construction, 24-gauge lid and 18-gauge base/screen, and an ornate one-piece base with 3/4" oval hole mesh. Fitting outside tile dimensions are 6-1/2" x 16" to 8-3/4" x 18-3/4" while the base size include 8" W x 17" L x 8" H mesh.